Here follows an account of Isaac Jenkins and John Tysilio Jones, builders and timber merchants of Johnstown. All my sources are available to the public and can be checked if necessary, using the list of sources at the foot of this article. I have used news items to hopefully create some insight into the daily workings of the timber yard in Johnstown. The reader will soon realise exactly how big a part Messrs Jenkins and Jones played in the early days of Johnstown. If anyone wishes to know about the actual family members, please contact me (Dave Edwards). Isaac Jenkins was born circa 1845. His parents were Thomas Jenkins, a labourer, and his wife, Margaret. They lived at Fron Haul, Llandynan, Llantysilio, with the hills and mountains on one side and the River Dee on the other. Isaac Jenkins moved to Ruabon Parish around 1859 and in early 1866, he married Mary Jones. In 1871, 26-year-old Isaac Jenkins was a bricklayer, living at High Street, Rhosllanerchrugog, with his 27-year-old wife, Mary and his widowed mother, 68-year-old Margaret Jenkins, aged 68. Also living with them was an unmarried boarder, 22-year-old John Jones. It seems highly likely that this boarder was John Tysilio Jones, who became Isaac’s business partner as the age was correct. By 1881, Isaac was a Master Builder living at High Street, Johnstown, and his mother, Margaret, was still living with them. Isaac and Mary had three daughters. Two of the children had been born in Johnstown, but the first child was born in Rhos. The dates of their births indicate that the Jenkins family moved to Johnstown sometime between 1875 and 1879. In 1881, living next door to Isaac Jenkins’ family were 32-year-old John Tysilio Jones from Llangollen and his 32-year-old wife Elizabeth Jones from Rhos. John was a Master Builder employing thirty men. He and his wife had five children at this time. Their first three children had been born in Rhos and their last two children had been born in Johnstown. In December 1883 the Aberystwyth College held a meeting at Rhos Board Schools. Mr. Isaac Jenkins of Messrs Jenkins & Jones was mentioned. From this we can deduce that Jenkins & Jones were business partners at least as early as 1883. Messrs Jenkins & Jones‘ Saw Mill was situated in Johnstown, on Moreton Street, near the junction with High Street. In November 1884, the burnt out Calvinistic Methodist Chapel at Adwy’r Clawdd was being replaced by another on the same site. The westerly end was more or less undamaged but the rest of the new church was being built by Messrs. Jenkins & Jones of Johnstown. In February 1885, Mr. James Ll. Thomas, The Dryll, arranged for one of his buildings to be adapted into a public hall for the people of Penycae, Pentre, etc. Messrs. Jenkins & Jones of Johnstown were hired to make the necessary alterations. 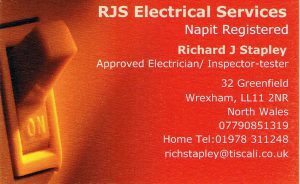 On Thursday, 11th November 1886, a man called Richard Jones was busy working for his employers, Messrs. Jenkins & Jones, builders of Johnstown. Richard and others were hoisting timber, using a crane. Richard Jones was operating the handle of the winch and while it was straining against the weight of a partially raised tree, Richard somehow loosened his grip of the handle, which revolved back and struck his head forcefully, inflicting a deep gash. Richard collapsed and it was feared that the blow had been fatal. Every effort was made to stem the flow of blood, but he had lost a considerable amount of blood by the time the company transport was able to take him to Dr. Davies’ surgery in Mountain Street. On deciding that his condition was too serious for the journey he was taken home, which was closer than the surgery. Dr. Davies was called for and he proclaimed the man’s condition to be very serious. By Friday, however, Richard Jones had improved slightly and continued to progress towards recovery. 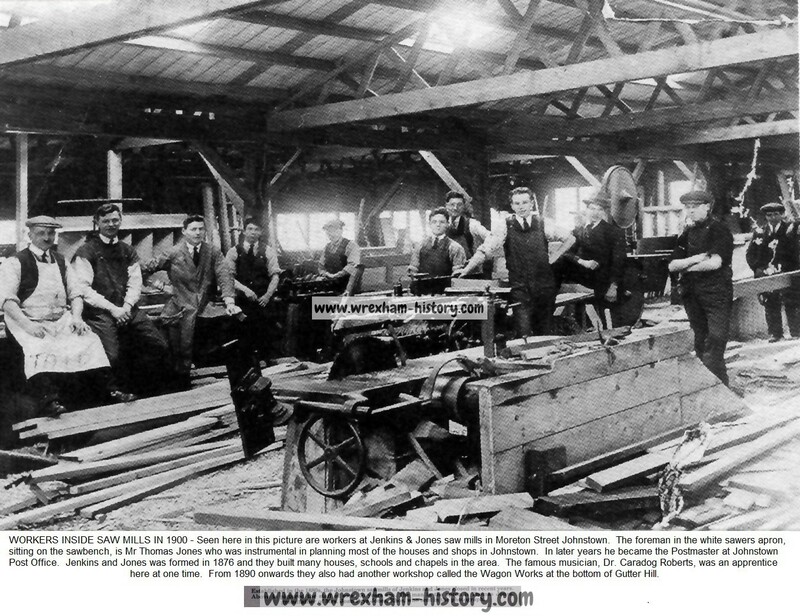 An advert placed in the Wrexham Advertiser in March 1887 described Jenkins and Jones as steam saw mills dealing in English and foreign timber and Festinog and Llangollen slates. They were agents for Felinheli Dinorwic slates and joiners of first-class quality. They made field gates of every description to order. In 1888 a new chapel, Capel Moriah, was opened at Ponciau. It was built from designs prepared by Messrs. Jenkins & Jones of Johnstown, who were also the contractors of the work. On Christmas Eve, 1888, the Llantysilio Glee Party held their concert in the Calvinistic Methodist Chapel, Llandynan. Mr. John Tysilio Jones, of Messrs. Jenkins & Jones, Builders, presided. The chairman was Mr. Isaac Jenkins, also of Jenkins & Jones. Johnstown had once been a barren-looking waste with a single house that was later to become a butcher’s shop. The fields on either side of the turnpike had been owned by a prominent landowner, solicitor and land agent named John Bury. Mr. Bury was an alderman of the town of Wrexham. He sold the land to Messrs. Jenkins and Jones, on the condition that they name the village after him; the two proposals for the village name were either ‘Bury’ or ‘John’s-town’. The village became known as Johnstown. Jenkins and Jones then developed the land and sold it off plot by plot to various entrepreneurs who built houses on each plot and they in turn either sold the houses or rented them to people in the district. By the early 1890s, there were scores of houses in Johnstown. The development of the Hafod pit, mainly between 1880-1910, had brought expansion to Johnstown with many houses being built by Jenkins and Jones builders. Sutton’s Trade Directory of 1889-90 mentioned Jenkins & Jones, timber merchants, saw mills and builders. It named Mr. Isaac Jenkins and Mr. John Jones as private residents at Johnstown. The 1891 census showed builder, Isaac Jenkins and his wife, Mary Jenkins, to be living on Ruabon Road, Johnstown. They had four daughters. They also had a domestic servant, 16-year-old Mary J. Evans. Isaac had been born in Llantysilio and his wife was born in Rhosllanerchrugog. The 1891 census showed Isaac’s business partner, 42-year-old builder, John Tysilio Jones’ address to be 1 Yale Street, Johnstown, where he lived with his 42-year-old wife, Elizabeth Jones. They had eight children. They also had a 14-year-old domestic servant, Sarah J. Williams. Because of the nature of their occupation, accidents at the timber yard featured a few times in the local newspapers. On Saturday 27th June 1891, 17-year-old George Ridgway of Ponkey was attending the sawing machine at Messrs. Jenkins & Jones, Johnstown. While operating this machine he had two fingers cut off and his hand was badly crushed. He was taken home and attended to by Dr. Davies, of Rhos. In November 1891, a reporter of the Wrexham and Denbighshire Advertiser visited the premises of Ruabon Wagon Works and Steam Saw Mills in Johnstown. 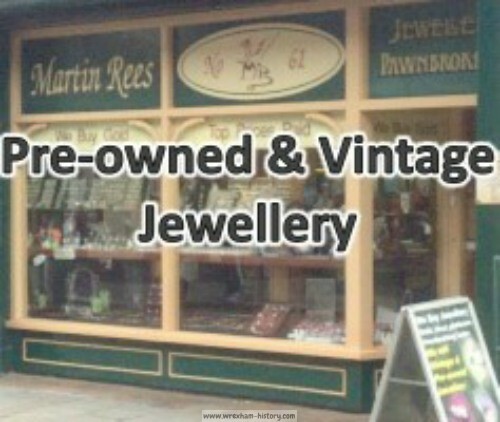 The owners were Messrs Jenkins and Jones. Mr Jones, one of the partners, acted as a guide and showed the reporter around the large range of buildings. Part of the land belonging to Jenkins and Jones had already been sold to the Church of England for a new church. The tour included the joiners’ shops on the second floor, where the workmen were using a planing machine furnished with side cutters and a morticing machine. This machine was capable of smoothing down three surfaces of the wood at once. The engine house below the plane room ensured that the wood they stored was always dry. The turning shop was where they manufactured such items as cart naves, dolley legs, rolling pins, gas brackets, table legs, potato mashers, balustrades and handles for all kinds of tools. While the reporter was exploring the premises, one of the carpenters offered to make him a tobacco box and was disappointed to learn that the reporter did not smoke. Instead, he made him a “beautifully fluted and moulded pedestalled sugar basin” which the reporter later handed over to his wife as a memento of the visit. Next stop was the engine and boiler house, which housed a twenty-horse-power engine. Adjoining the engine room were the saw mills, containing a rack bench, with a six feet saw and a thirty-foot table, with a handy crane for lifting heavy logs onto the bench. 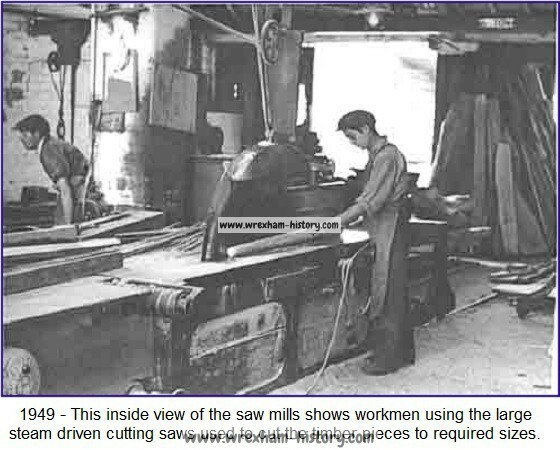 There were three smaller circular saw benches, one of which possessed the requisite appliances for rebating, grooving and boring. There was a band saw for cutting wood to any desired shape and a saw sharpener. These machines were worked by unseen shafting, situated underneath the mill flooring. All the modern machinery had been fitted by Messrs. Robinsons and Sons of Rochdale, who were celebrated makers of that description of mechanism. Jenkins & Jones had all the appliances for house construction, including drains and chimney pots. There was even a room used for coffin making. The reporter was shown a large yard at the rear, where they stored timber, slates, pipes, etc., and where a steam engine was driving a mortar mill. They then moved on to a range of buildings at the end of a side street, where stabling was occupied by fifteen horses. There were steam-driven machines for cutting hay, etc., and for kibbling corn. There was also a water supply and other conveniences so the ostlers could provide for the needs and comfort of their charges. The reporter was then shown a newly-laid out street lined each side with timber-encumbered ground, to the Wagon Works. He was told that the whole of that land belonged to Jenkins and Jones. A number of houses had already been erected on it. At the entrance to the Wagon Works, there was a large travelling crane for unloading wagons and a hundred-tons hydraulic press for putting on or removing wagon wheels from their axles. Turning to the left, the reporter was shown a large smithy containing six hearths with blast and a large steam hammer. Opening out from this was an equally commodious machine shop with punching and shearing machines capable of shearing cold iron 6” x 1¾” iron. Adjoining this was a store-room and wheelwright’s shop with conveniences for making carts, lorries, colliery tubs, gates, wheelbarrows, pick shafts, etc. The reporter was impressed by a slotting machine which was used for boring holes and making oblong holes. He was told that more work could be done on that machine in half an hour than was previously achieved manually in two days. The reporter was further impressed when they showed him the largest horizontal saw mill in North Wales. It was capable of slicing through a plank four feet three inches in width. On the north side of the mill was a large travelling crane, with a 52 foot span. This crane was used to carry immense trees one at a time to be sawn. Close to the mill were a boiler and a 25-horse power engine. All the machinery was provided by the aforementioned Messrs Robinson & Son of Rochdale. Last to be viewed was the wagon erecting shop, with lines of rails running in all directions. It was from there that the completed wagons were loaded onto a bogie and finally placed onto the branch line of the Great Western Railway for delivery to all parts of the country. At this point, the reporter summed up by saying that there was every evidence of a large and prosperous business being carried on, with prospects for further and early development. The local churches seem to have kept Jenkins & Jones busy. On Thursday, 29th September 1892, the foundation stone was laid of the new St. David’s Church in Broad Street, Rhos. The architects for the church were Messrs. Douglas and Fordham of Chester and the contractors were Messrs. Jenkins & Jones of Johnstown. 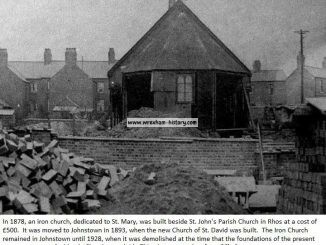 In the summer of 1893, Messrs. Jones and Jenkins of Johnstown donated a freehold piece of land valued at £120 for the erection of a new Calvinistic Methodist Chapel at Johnstown. On Sunday, 2nd July 1893, Isaac Jenkins of Johnstown was one of two men elected to be a superintendent of the Capel Mawr (Welsh Presbyterian) Sunday School for the next twelve months. 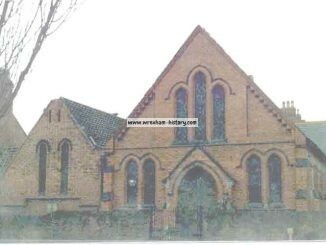 By February 1894, Messrs. Jenkins & Jones had completed the Calvinistic Methodist Chapel (Siloh) in Johnstown, for which they had donated the land. The building was made from Ruabon best fireclay bricks was capable of seating 180 and cost £373. The interior measured thirty-three feet by twenty-five feet. The classroom attached was eighteen feet by twelve feet. There was a boiler room measuring twelve feet by seven feet. At the entrance to the chapel was a porch with a Gothic arch. The floor was laid with tessellated tiles and the walls were finished with a neat cornice. The lead lights were surrounded with brick mullions and Gothic heads. The building was heated by gas and ventilated by means of air tubes from the outer walls. Reversible forms made from pitch pine were provided and the pulpit was made from the same wood, stained and varnished. Shrubs had been planted along the front and sides of the chapel. The whole edifice was evidence of the good, sound workmanship of its planners and builders, Messrs. Jenkins & Jones. The work was carried out under the superintendence of Mr. Rees Evans, the foreman. The opening services were held and collections were made in aid of the building fund. Mr. Rees Evans was appointed precentor (someone who leads the congregation in singing). Isaac Jenkins and John Tysilio Jones were to become deacons of the church. 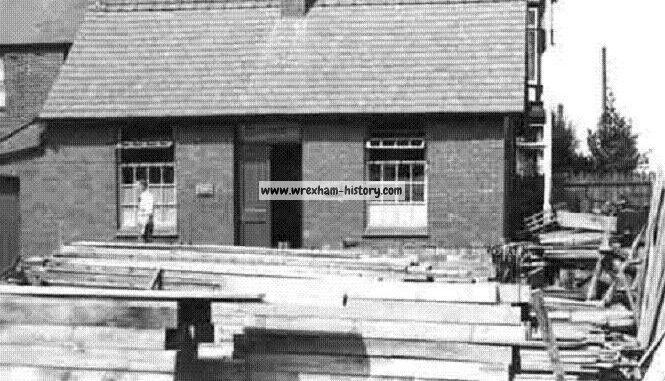 In March 1894, Messrs Jenkins & Jones, builders of Johnstown, had their tender accepted to erect a new schoolroom near Capel Mawr. In May 1894 a meeting was held at Capel Mawr, Rhos where a presentation was made to E. Hooson, J. P., in recognition of his services as secretary to Capel Mawr for twenty-one years. After the address had been read and a hymn sung, Mr. Isaac Jones spoke, saying how he had come to Ruabon on the every same day as Mr. Hooson, 35 years previously. For many years he had happily worked with Mr. Hooson and considered him to be most remarkable for his zeal in discharging everything he did. Mr. Jenkins advised the young men of the church to follow Mr. Hooson’s example. On Tuesday, 15th January 1895, 22-year-old Thomas Jenkins, the nephew of Isaac Jenkins, was working at the premises of Messrs. Jenkins & Jones, Johnstown. While unloading a quantity of timber from a wagon, a large piece rolled upon Thomas, killing him instantly. Dr. J. E. Davies was called to the scene and pronounced his life to be extinct. Thomas was the youngest son of Mrs. Jenkins, Sun Inn, Rhewl. An inquest was held by W. Wynne Evans, the East Denbighshire coroner, at Siloh Chapel, Johnstown. The jury consisted of Mr. Andrew Pruett, Tanyclawdd; Ed. Clarke, Ponkey; Thomas Jones, Ponkey; John Jones, Ponkey; Rowland Hill, Johnstown; Edwin Jones, Johnstown; John Mackie, Johnstown; James Haycocks, Johnstown; B. Yates, Johnstown; Jos. Edwards, Johnstown; Thomas Davies, Johnstown; J. Lewis, Johnstown; Matthew Duckett, Johnstown and Frederick Roberts, Johnstown. Thomas Jenkins’ brother, Robert Jenkins, confirmed his brother’s age and place of employment. Richard Parry, another employee of Jenkins and Jones, said he and Thomas Jenkins were engaged in loading a timber carriage from a railway wagon. Richard was in the office at the time of the accident but on hearing a noise he went out and found the deceased crushed between a piece of timber and the waggon. Richard had warned the two men (Jenkins and Griffiths) when he saw the chain slip. The frost and the wet made the bite of the grappling irons uncertain. A fellow workman, William Griffiths, corroborated the statement, as he had been working with Thomas at the time. Mr. Griffiths had been helping to wind the chain of the crane. Hearing the dogs ripping, he ran under the timber carriage, but Jenkins moved backwards. The usual practice was to put a chain round the trees when they were very large, but this had been an ordinary sized tree and Griffiths thought the dogs were quite safe. Mr. Isaac Jenkins, one of the proprietors of the wagon works, said he had seen the men unloading the timber and as it was a frosty morning he had told them to be careful. The jury returned a verdict of accidental death and added that no blame was attached to anyone. Thomas Jenkins had been a young man much liked by all and his sad death was a great blow to his family. It was mentioned that at dinner time on the day of the accident, Thomas had told his landlady how he’d received a good scolding from his uncle, Isaac Jenkins, for not being careful enough in handling the trees. He had also told her how he was looking forward to taking part in the Band of Hope that evening. On Monday, 9th September 1895, Mr. John Tysilio Jones, a timber merchant of Johnstown presided over an evening meeting at Bethel Chapel, Ponkey. On Monday, 20th November 1899, a public induction service was held at Siloh Welsh Calvinistic Methodist Chapel, Johnstown. Rev. W. H. Lewis of Liverpool was formally inducted to the pastorate of the church. During 1899 a new schoolroom and classroom had been added by Messrs Jenkins and Jones, who were also deacons of the church. On Saturday, 14th July 1900, the employees of Jenkins & Jones set off in brakes for their annual excursion to Ellesmere. On arrival, they had tea and Mr. Robert Jones presided over a meeting. Solos were rendered by Emerson Griffiths, J. Lloyd Jones (a clerk), J. Davies, J. Hannaby, J. Hughes, S. Griffiths, E. Jenkins and others. Mr. J. Phillips motioned a cordial vote of thanks to the firm for their kindness and Mr. Jenkins, on behalf of the firm, acknowledged it. On Wednesday, 29th August 1900, Siloh Calvinist Methodist chapel in Johnstown had their annual tea meeting. Among those present were Isaac Jenkins and John Tysilio Jones, from the Timber and Carriage works. The arrangements for the tea were excellently carried out by, among other, Miss Jennie Jones, daughter of John Tysilio Jones. The 1901 census showed Mr John Tysilio Jones to be living at Bryn Derw (later renamed Carno), 9 High Street, Johnstown. John was widowed and six of his eight children were shown on the census. Next door to John, at number 10 High Street, lived his business partner, Mr. Isaac Jenkins and his family. In April 1902, Mynydd Seion Church,Ponkey, reopened after extensive alterations carried out by Messrs. Jenkins & Jones of Johnstown. The Rhos Herald of January 1902 carried an advert in which Jenkins & Jones begged to inform the public that they had been appointed sole agents for the celebrated Minera Hoffman Lime, for the districts of Rhos, Ponkey and Johnstown. Customers were to be supplied at Johnstown with truck-loads or cart loads cheaper than at the lime works. There were special terms for truck-loads. They were also sole agents for the noted Earle Cement and special terms were offered for quantities. On 2nd November 1906, the Llangollen Advertiser carried an account of a gathering in Johnstown Council Schools on Friday 26th October when Mr and Mrs Isaac Jenkins entertained about a hundred of their employees. One of the ladies presiding over the tables was Isaac’s 21-year-old daughter, Jenny Jenkins. As a token of their regard for him, his employees presented him with a portrait of himself and they bought a silver tea and coffee service for Mrs Jenkins. As it was Isaac Jenkins’ birthday they also wished him many happy returns of the day. Conspicuous by his absence from this gathering was Isaac’s business partner, John Tysilio Jones. An explanation for the absence of Mr. Jones from the gathering in November can possibly be derived from the Morning Post’s announcement on 2nd January 1907 of business partnerships that had been dissolved. Among the names were those of Isaac Jenkins and John Jones, builders, contractors and timber merchants of Johnstown. On Monday, 29th April 1907, John Tysilio Jones chaired a meeting at the Public Hall, Rhos. The occasion was a performance of Handel’s Messiah by the Cefn Choral Society, who sang in aid of Seion Baptist Chapel, Ponkey. At Wrexham, on Thursday, 16th January 1908, Mr. Ll. Kendrick, the East Denbighshire coroner, held an inquiry concerning the death of William Griffiths, a timber haulier employed by Isaac Jenkins, timber merchant of Johnstown. I do not know whether this was the same William Griffiths who had witnessed the death of Isaac’s nephew, Thomas Jenkins, in 1895. On Wednesday, 15th January 1908, William Griffiths had been unloading timber at the Great Western Railway Station, when one of the pieces slipped and struck his side and legs. He was taken to Wrexham Infirmary, where he died. A verdict was returned of “Accidental death”. 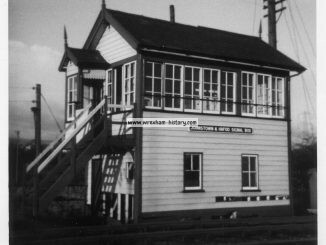 In February 1909 an accident occurred to S. Davies, a waggoner employed by Isaac Jenkins. Mr. Davies had been lumbering timber at Dolgelley when he fell from a shaft of the waggon and one of the wheels went over him. He had been taken to hospital where he began to make progress. 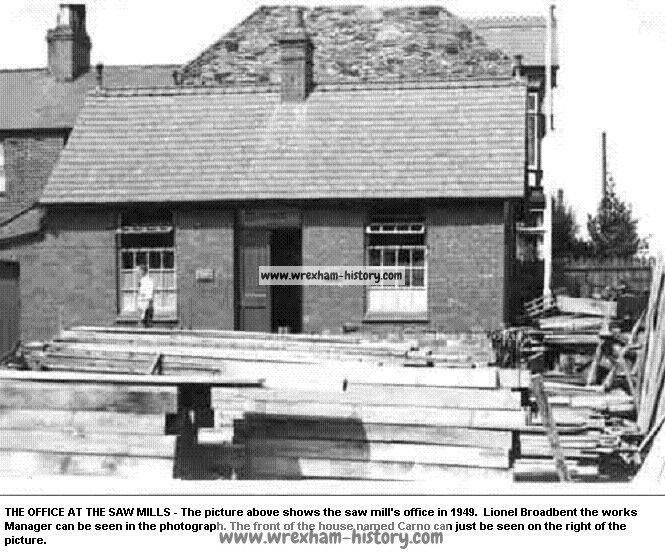 On 10th April 1909 the Rhos Herald carried an advert from the Team Saw Mills, proprietor Isaac Jenkins. He was described as a Builder and Contractor, Timber and Slate Merchant. As a dealer in English and Foreign Timber, he kept stocks of the following materials: Shafts, Spokes, Felloes, Naves, Field Gates, Fencing Posts and Rails, Slating and Plastering Laths and Blue Slabs. He also stocked Penrhyn, Carnarvon, Festiniog and Glyn Slates and Cement, Lime, Plaster and all Building Requisites. He undertook all classes of Turnery, Joinery and Plumbing work, executed by a competent Staff of many years’ experience. Inspections were made, reports and plans prepared, estimates given on application and good materials and workmanship was guaranteed. On Monday, 24th May 1909, James Pullein, a waggoner employed by Isaac Jenkins, was struck on the head and felled to the group while unloading timber from a waggon. He was driven home in an unconscious condition, where he was attended to by Dr. J. C. Davies. On Thursday, 10th February 1910, Isaac Jenkins was suddenly taken ill, but clearly recovered, as the 1911 census showed Isaac and his wife, Mary, still living at 10 High Street, Johnstown. As well as their children, they had a 15-year-old servant called Gwladys Edwards and a 30-year-old visitor called Owen John Davies, who was a theological student. On Wednesday, 10th January 1912, a special free organ recital for children was given by Dr. Caradog Roberts at Bethlehem Congregational Church, Rhos. He was assisted by William Griffiths on solo cornet and by soprano Jennie Roberts. The chair was taken by Isaac Jenkins of Johnstown. In September 1912, John Tysilio Jones was the chairman of the Pavilion Committee at the Wrexham Eisteddfod. 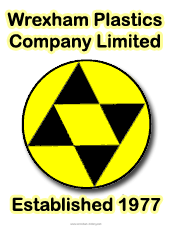 On 16th January 1918 a new private company was registered under the name of Isaac Jenkins and Co., Limited. They had a capital of £2,000 in £1 shares. It was to take over the business carried on by Isaac Jenkins, English and foreign timber merchant, at the Steam Sawmills, Johnstown. The subscribers, who each had one share, were: I. Jenkins, a timber merchant of Johnstown and J. E. I. Edwards, a timber merchant of Plasynwern, Ruabon. The first directors were I. Jenkins (permanent) and J. E. I. Edwards (secretary and manager). 73-year-old Isaac Jenkins died on 14th February 1918. He was described as one of the best known residents of Johnstown and a member of Siloh Calvinistic Methodist Chapel, Johnstown. Probate was granted at St. Asaph on 6th June 1918 to John Ernest Isaac Edwards, company director and secretary and to Mary Catherine Jenkins, spinster (Isaac’s daughter). Effects were £10,042 7s. 10d. In October 1919, while following his employment at Johnstown Saw Mills, Mr. J. Hayward of Mount Pleasant, met with a serious accident, breaking one of his legs. In August 1933, John Tysilio Jones was the chairman of the Pavilion Committee at the Eisteddfod. We know that the timber merchants continued to trade under the name of Isaac Jenkins Co., Ltd. after being purchased by William Gittins and Sons. 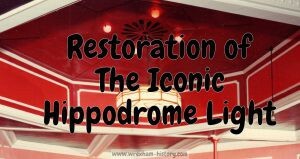 On Wednesday, 24th January 1940, a garage belonging to them at Ruabon was destroyed by fire. The blaze was noticed about midnight and Mr. Ernest Jones, who lived nearby at Vauxhall House, summoned Wrexham Fire Brigade. The garage roof had fallen in by the time the brigade arrived, but firemen were able to prevent the flames from spreading. Four motor vehicles in the garage were destroyed. The damage was estimated at between £1,500 and £2,000. The crane mentioned by Phil was used to move the large timber felled pieces and to move them onto cutting trestles on the side of the road where they were then cut into smaller sizes. These were moved by crane and trolley into the saw mill and cut into required sizes for use as roof spars, doors, window frames, etc., for house building. William Gittins Ltd. built many council houses in the area and at one time employed over 100 bricklayers and many joiners. They also manufactured thousands of pit props for local coal mines. On 30th June 1943, John Tysilio Jones, J.P.; M.B.E., celebrated his 95th birthday at his home, Bryn Offa, in Johnstown. He was one of the best-known public men in North Wales. Until advancing years compelled him to retire, John had taken a prominent part in public life. John Tysilio Jones of 4 Acton Road, Wrexham, died on 15th July 1946, aged 98. Probate (save and except settled land) was granted at Bangor in May 1947 to Ivor Hywel Jones, a civil servant and to Annie Sarah Jones, widow. Effects were £3,096 17s 8d. Probate limited to settled land was granted at Bangor on 1st January 1948 to Isaac Daniel Hooson, solicitor. Effects were £1,500. 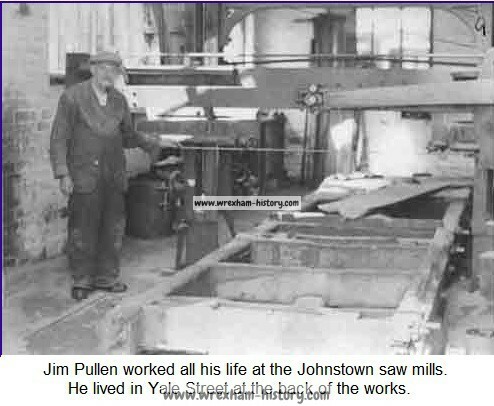 Many people living in Johnstown today can remember the timber yard. David Brierley, told me that his dad used to drive the log wagon for Isaac Jenkins, bringing the logs from the forest to the saw mill. David can remember going with his dad as a child, when William Gittins had taken over the yard from Isaac Jenkins. Lesley Lell McMeiken told us that her dad worked at the timber yard from fourteen years of age until he was sixteen. Brenda Norgrove’s dad and his brother worked for Jenkins when they left school and stayed there for about fifty years. In October 1978, William Gittins Contractors Ltd. went into liquidation.